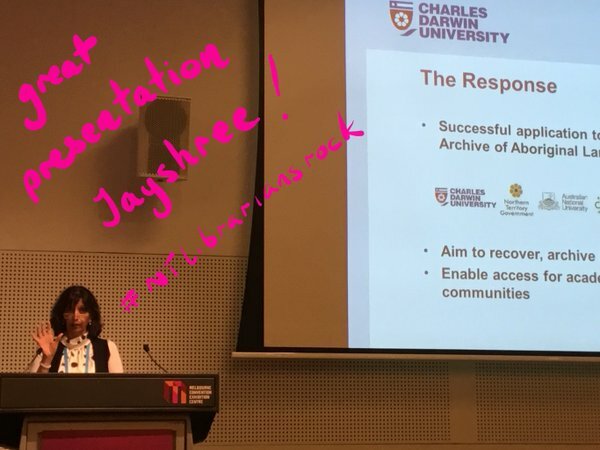 Jayshree Mamtora, the Research Services Coordinator from Charles Darwin University Library shares her experience presenting about the Living Archive project at a national library conference last month. 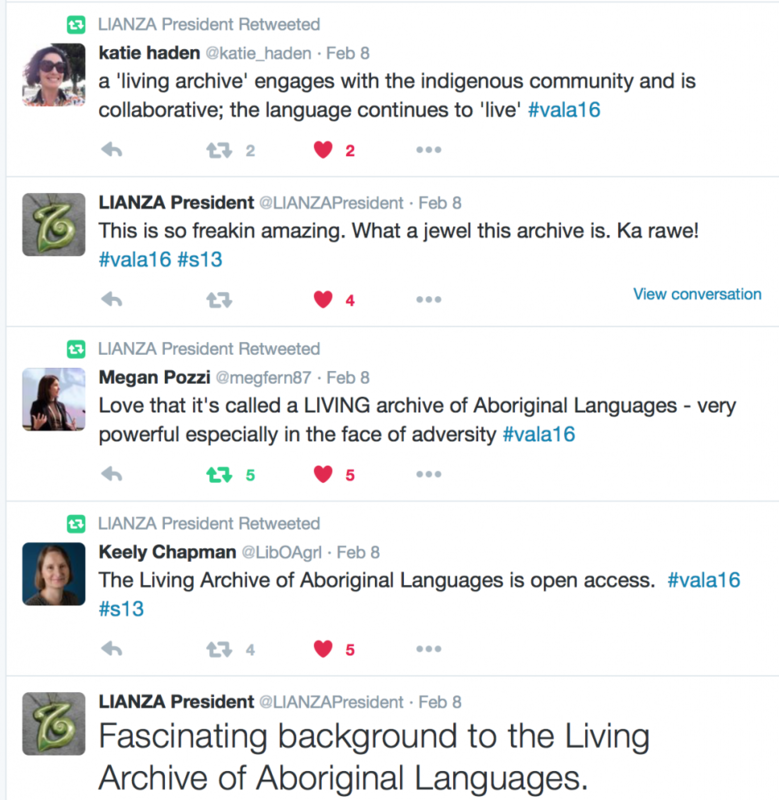 In February, I had the opportunity to attend the VALA 2016 Conference and present a paper, Preserving the living archive of Indigenous material, jointly written with Neil Godfrey, CDU Library’s Digital Collections Coordinator, and Cathy Bow, LAAL Project Manager. The VALA Conference is a major Australian library conference held biennially at the Melbourne Convention Centre, and this year attracted 1300 delegates. 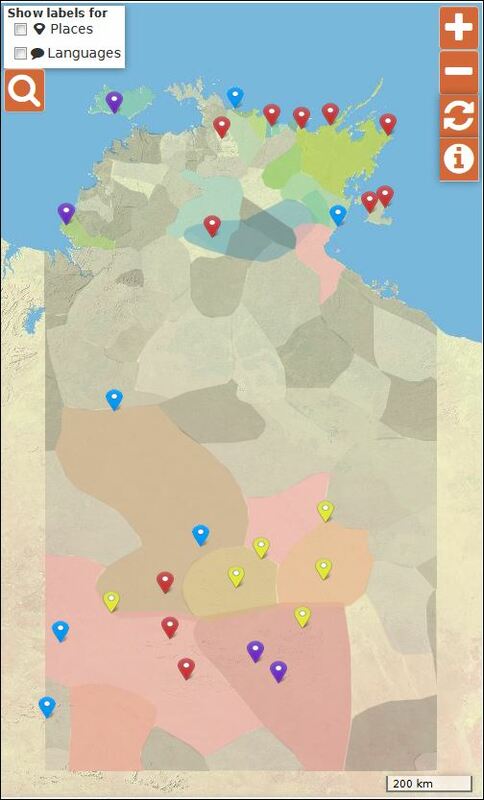 Our paper primarily focussed on the contribution of the CDU Library to the Living Archive of Aboriginal Languages project. The Library was responsible for setting up a digitisation program to preserve the language materials, establishing, hosting and maintaining the digital repository, and developing a web application to make it more easily accessible. As such, the Library played a key role in facilitating both Indigenous community engagement and international linguistic research with these Indigenous language materials. The tweeter who said “what a jewel this archive is” was actually brought to tears by the presentation. Kris Wehipeihana, the President of LIANZA (Library and Information of New Zealand Aotearoa), was very moved by the work that had been done in the setting up of the Archive, from her experience with Maori language and culture. The project serves as a rich case study demonstrating how academic libraries can work with researchers to support the archiving of cultural heritage and will prove useful to others planning similar projects. Our conference paper is available (open access) through CDU Library’s eSpace repository. This entry was posted in Academic and tagged conference, library on March 18, 2016 by Cathy Bow.